Neena Goswamy, a Hayward native, is the Lead Founder and Executive Director of Hayward Collegiate. She was a Fellow with Building Excellent Schools, through which she studied nearly 50 high-performing charter schools across the country to learn best practices. Ms. Goswamy joined Teach For America in 2011 and taught for five years, as a High-School Reading teacher in the Noble Network and Founding Teacher for KIPP: Bloom on Chicago's South-side. Her scholars had the highest proficiency rates of any open-enrollment school in the city. Most recently, Ms. Goswamy worked as the Director of Growth at EDpuzzle, an ed-tech company pioneering online learning for teachers and students. She graduated with honors from the University of Washington with a Bachelor of Arts Degree in International Studies with a focus on Economics. She is excited to come back to the community she is from to bring an incredible school option for the families of Hayward. Breona (Bree) Jenkins is the Head of Operations at Hayward Collegiate. 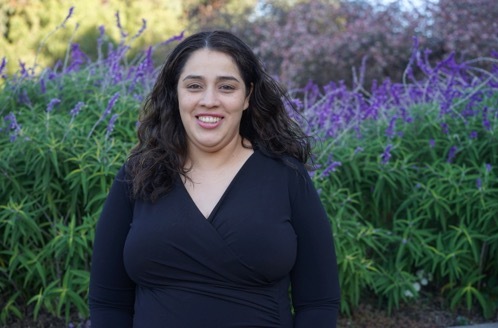 Currently a second-year MBA student at UC Berkeley, and graduating in May, she led Berkeley-Haas’ chapter of the Consortium for Graduate Study in Management, working to increase the number of underrepresented minorities in business. She organized small group diversity chats for her class to build community and provide a brave space to talk about race and allyship. To further widen the pipeline, she created a Shark Tank-style pitch competition for elementary school students in Oakland called Cheetah Tank. She’s also a student board member for the Center for Equity, Gender, and Leadership and hosted Haas’ first Investing in Inclusion Pitch competition. Prior to business school, she was an Industrial Engineer at Disney and managed scheduling and logistics for the maintenance of Disney Cruise Line ships. Bree is excited to utilize her operations and business skills in K-12 education to improve educational equity. In her free time, she loves to salsa dance, travel, and watch plays and musicals.